Over the last year we have seen a great deal of investment in Putney town centre, with many new businesses opening such as Gail’s Bakery, iBroke my Gadget, Brownie Box, Pitter Potter, Yum-Sa Restaurant, Revolution and Morrows to name a few. You may have seen an increase in boarded up businesses in the last few months, but do not fret as they are due to refurbishments. 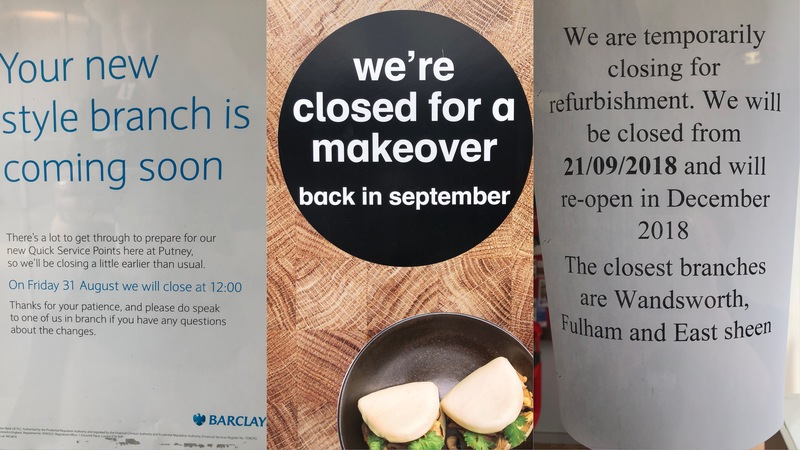 Wagamama is temporarily closed due to an upgrade and will be back with a new look and our same favourite dishes and treats on September 10th. Wagamama stated that they ‘would never leave Putney’! Do you still have those steaming rice and dumpling cravings though? Their nearest restaurants to Putney are in Wandsworth or just over the bridge in Fulham. Barclays will be closing at the end of August for what the staff are describing as a much needed face lift. The branch will be closed for an 11 week period, set to reopen in November. 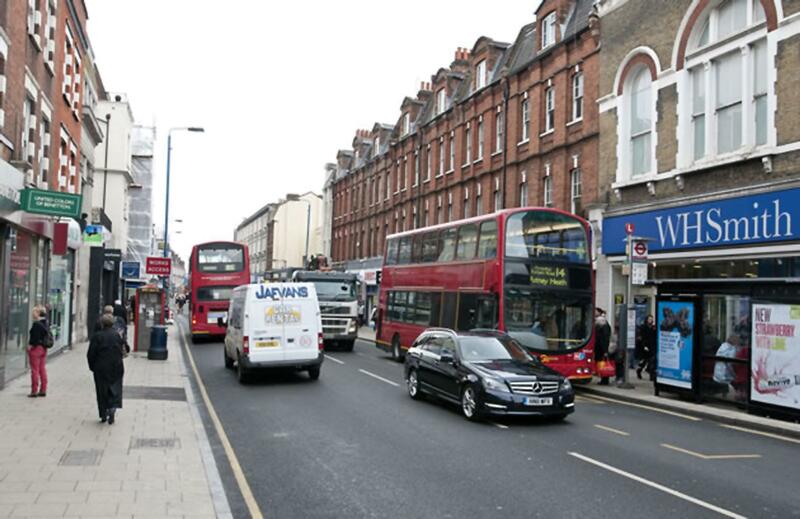 During the refurbishment the closest branches will be in East Sheen, Wimbledon, Fulham and Earlsfield. Santandar will be closing in mid September for an expansion and brand new store. They are set to reopen in December 2018, with the closest branches being in Wandsworth, Fulham and East Sheen during the temporary closure. 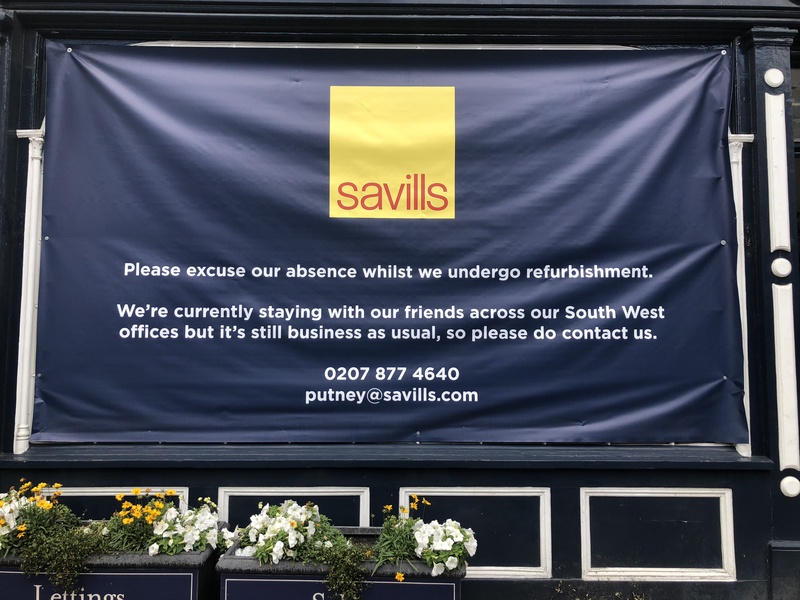 Savills on Upper Richmond Road is also undergoing a temporary closure whilst the store enjoys a face lift. All the staff are still available across other South West London Savills branches, so be sure to get in contact with them if you require their expertise. Putney Fez has closed its doors not only for a brand new look, but also a rebirth. 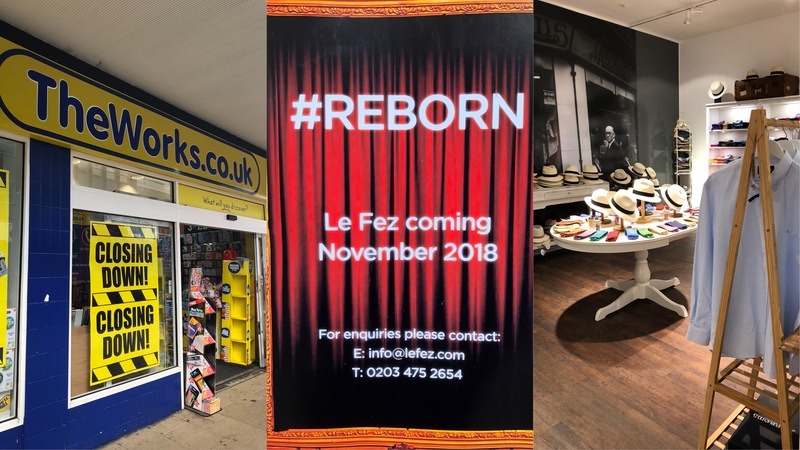 The rebranded Le Fez is due to open soon, and we can’t wait to see what they have in store for all those who like to dance the night away. The Works is currently having a huge closing down sale as they prepare to move from their current location on Putney High Street into a new location inside Putney Exchange. Morrows will be closing from its current location in the exchange in mid September, before opening again in a brand new location within Putney Exchange, just in time for winter and Christmas essentials. In addition to this we have also seen other refurbishments happen in the area such as Odeon Luxe back in December. The Metro bank development is delayed in finishing but should open in December, and Holland and Barrett will be opening in the old Sports Direct site. Wilko’s will be opening in the Exchange just in time for all those Christmas essentials. All of this investment and development is making Putney a more vibrant and attractive place for those who work, live and visit here. The Positively Putney team are excited to welcome the new businesses and encourage those who work and live in the area to support these businesses by shopping local.